Are you an O.K.U. (Orang Kurang Upaya) person? Just an ordinary lay man. Are you a normal and ordinary person? Are you unable to walk, to use your arms and legs? Do you need crutches to move about? In some cases, unfortunately, there are some who cannot use their legs but their arms are perfectly alright. There exists O.K.U. who are former polio victims. The above is a general description of an O.K.U. If the description of an O.K.U. is wrong, I sincerely apologise for my error. My intention to write this article, is just to disseminate, the vast experience on driving instruction to assist the O.K.U. get a license, to drive a car. If you think you are an O.K.U. or a disabled person and if you wish to achieve a driving license, just like any normal person, what then should you do? What are the steps you have to go through? In this short article, an attempt will be made to explain the procedures or steps you will have to take towards making your dream a reality. Go to the nearest J.P.J. office, say in Kampung Jawa, Klang or even in Petaling Jaya. Fill up the required form. After completing the necessary form, next you will have to go to a government hospital, to the orthopedic department. You will then be checked thoroughly. You will be given a medical report confirming your status as an O.K.U. person. This qualifies you to learn driving in an automatic car. Remember, only an O.K.U. is allowed to learn and test in an automatic car. If for instance, you are not a disabled person, but you suffer from some medical problem. Should you suffer from a spinal problem making it difficult to sit in a small Kancil car. And because of this you have to use a larger car. Get an orthopedic surgeon to certify your condition. With the above document, you can then go to the J.P.J. authorities to seek permission to use your own family car to learn in and also test with the above car. Of course, you have to remember regarding the necessary “insurance coverage” that’s required. The second step is essentially the driving instructor’s duty. Find a good and qualified instructor either from a driving school or institute. He will have to apply for permission to tutor you. Only when the necessary permission has been given by the Road Transport Department, can you begin your driving lessons. Remember though, you’ll need a special automatic vehicle to learn in. Hunt around for an institute which may or may not have such a vehicle. If you are unable to locate such a vehicle, what then should you do? i) Purchase your own auto car. ii) Borrow an auto car. A letter of consent is required for this purpose. Of course, all necessary insurance coverage is needed again. When the above requirements have been met, the driving instructor meanwhile upon receiving the necessary J.P.J.’s documents will then contact you for your driving lessons to begin. The above will all take some time to process. OK! Having done Step 1 and 2, what next is the following action of the O.K.U.? i) Attend the 5 hour K.P.P. (Kursus Pendidikan Pemandu) course. ii) Sit for the Highway Code (Undang-undang). iii) Attend the 6 Hour Theory course and eventually your “L” license will be issued to you. Explaining all the various steps that you ought to do as an O.K.U. has not being easy. But for the sake of special people like you, it’s all being worthwhile. I sincerely pray you’ll eventually be successful in your attempt to get your driving license! Don’t forget though. Wave to me if you do meet me on the road! If i’m a handicapped and need to buy the nissan new car, any special discount for me? As an O.K.U., you can try to ask for a special discount. Can I continue doing my driving test in a different driving school? Previously, I did my driving test in PJ which I failed. And now I moved to a different place. So can I continue where I left off at another driving school? Get your previous driving institute to confirm that you were learning there. Enclose your “test” results when applying for a new test. I am an O.K.U. I want to get the driving license. I have purchase my own car. Can i go to any driving institute to get my driving license? or need the specific driving instructor for me? Actually i am not an unable walking person. Just my physical look is shorter than normal person. So, can i ask.. can i get the modify car for O.K.U manufacturer at area around Penang or Perak? Can Cikgu Yap recommend any modify car manufacturer for me? because i can’t find it except at Kuala Lumpur. i hope Cikgu Yap can help me because no body can help me to solve this problem. From my understanding, you are a normal person. Except, that you are extremely short. As such, you may have difficulty in reaching the pedals (clutch, brakes and accelerator). You therefore have to modify your vehicle to manipulate the controls by hand. I have written an article Types of Vehicle For Disabled Person In Malaysia. Do read the article carefully. Try speaking to the agents from whom you purchased the vehicle. They should be able to assist you. Failing which, you will have no alternative but send your car to K.L. for necessary alterations. I still want to ask some question. If i can’t find the modify technician around at my place. Can you recommend the modify technician for me according your experience? Because i can’t find somebody to help me find out. As you said, i need to modify the vehicle to control by hand one. So, can you tell me more about this type of vehicle? I sympathizes with your problem. If agents cannot help you, try seeking a good foreman to assist you. Remember to use an auto car for modification. Explain to the foreman that they have to modify the accelerator and brakes to the steering stalk to allow hand control. When the above is done, contact me again to receive advice on how to present the car for inspection. In the meantime, I will sent out feelers to locate good technicians and foreman to assist you. Should there be readers who know of anyone who can help Sharon with her problem, please help by contacting me. I will convey it to her. Meanwhile, Sharon, you have to be patient. i have pass my driving assesment in Hospital UKM PJ…they ask me to find driving school that can teach OKU people,..i have no idea..
can please tell me what driving school got teach OKU people at kl or kajang,selangor?? i hope Cikgu Yap can help me because no body can help me to solve this problem..
cikgu yap do you know which driving centre go teach OKU driving? Try Safe Driving Institute In PJ. MY sister is not ble to read & write. She has been identified as OKU & has the OKU red card but phy isically she is normal. She can do everything a normal preson does except read & write. So Can she take up driving. Physical attributes are not the only criteria for one to drive. As your sister is an OKU, you should have her examined by the hospital authorities who will certify if your sister is indeed fir to drive. OKU labels are available at most advertising shops. what should i do in order to take the car exam?can u pls explain clearly. as i hear new law for car exam start may 2014…what the diffrerent? hope to receive u answer as soon. I am OKU also~i have scoliosis problem~so effect my leg~ i only can use left leg to control pedal. And i need to know step by step by getting learn driving. i already fill up form Permohoan lesen memandu OKU ~then JPJ give me Borang Permohonan Ubah Suai Kereta. Calon OKU seperti anda biasa boleh gunakan kenderaan auto. Tetapi calon-calon yang tidak dapat memijak brek dengan kaki kanan, mengikut undang-undang serta peraturan, tidak diizin gunakan kaki kiri. Memang elok JPJ memberikan anda ‘borang ubah suai kereta’. Sila tanyakan pihak atas adakah ini bermaksud JPJ hendakkan anda ubah suai kereta auto anda breknya bahagian tengah ke kiri untuk membolehkan anda gunakan kaki kiri. Selepas ubah suai kenderaan baru anda, hendaklah ke Puspakom untuk pemeriksaan selanjutnya. i) Adakah anda telah jalankan pemeriksaan orthopeadic di hospital besar? ii) Mampukah keluarga anda membeli kereta auto untuk di ubahsuai? iii) Berdayakah kaki kanan anda di gunakan untuk memijak accelerator? On behalf of my dad who has lost his right hand 2 weeks ago. Is that a MUST to apply new license at JPJ as OKU? And need to attend class? He is 59 years old. Can we just apply OKU and register at JABATAN KEBAJIKAN MASYARAKAT and apply the OKU sticker? Hope can hear from you soon and have a nice day ahead! Rules and regulations require your dad has to a retest. But I suggest your father first seek JPJ’s advice. Your other suggestion not viable. My right leg was using prosrhetic leg, so i can use left leg only. So its really possible to modifiy the break pedal to left, so i can use my left leg for break & accelerator? Did eillen succesufully modify it at the end & get the license? Get orthopedic surgeon’s view on your condition first. Then contact JPJ for further advise. Don’t modify vehicle without permission from the authorities. It’s illegal. I need to ask you a couple of questions. Under ADHD, Can i still apply? 2) I dont have my personal car, But im quite tall and able to reach the peddles of my brothers and mum car. Can I borrow a car from the Goverment or from jpj? 3) I never learned how to drive but what are the requirement to get a license? my son is category had oku card, he had an operation below knee amputee on his left leg and now is wearing his prosthetic leg and his right leg can work out as normal. did he need to modified his car ? I am an OKU. I intend to get an Axia and modify. Your step by step guide was very useful. Thank you. However, may l know where l can modify a car. I believe it must be a JPJ approved workshop. 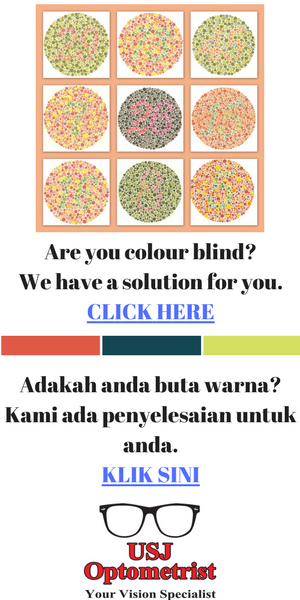 Dear Cikgu Yap, it was only today that I stumbled upon this site when searching for information on the status of a previously able-bodied licensed driver who is now a below knee amputee (left leg). I was driving a manual car before my amputation but am now using an auto-transmission car without any problem. I have been driving this car since my amputation in 2008. My query to you Cikgu Yap, do I have to inform JPJ of my OKU status and do I have to apply for a special license. Do I have to go through any kind of test again, such as the theory test and driving test? Thank you. Yes, you have to inform JPJ about your present condition, In my view, you have to do an OKU test also. You might be exempted from Highway Code test though.